Welcome! Today we’re talking Ribbons and Embellishments. 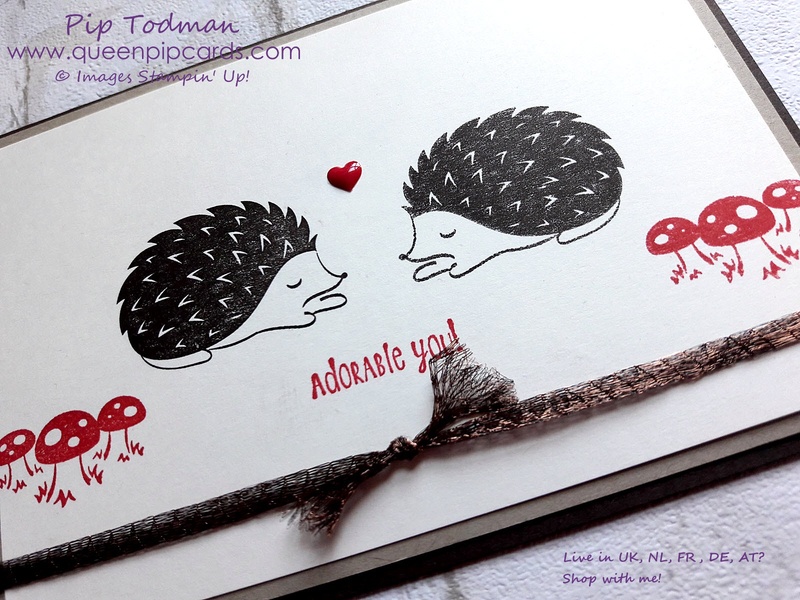 The new ones just released by Stampin’ Up! make your life easy. No more scratching around trying to find something that matches the card you’re making. 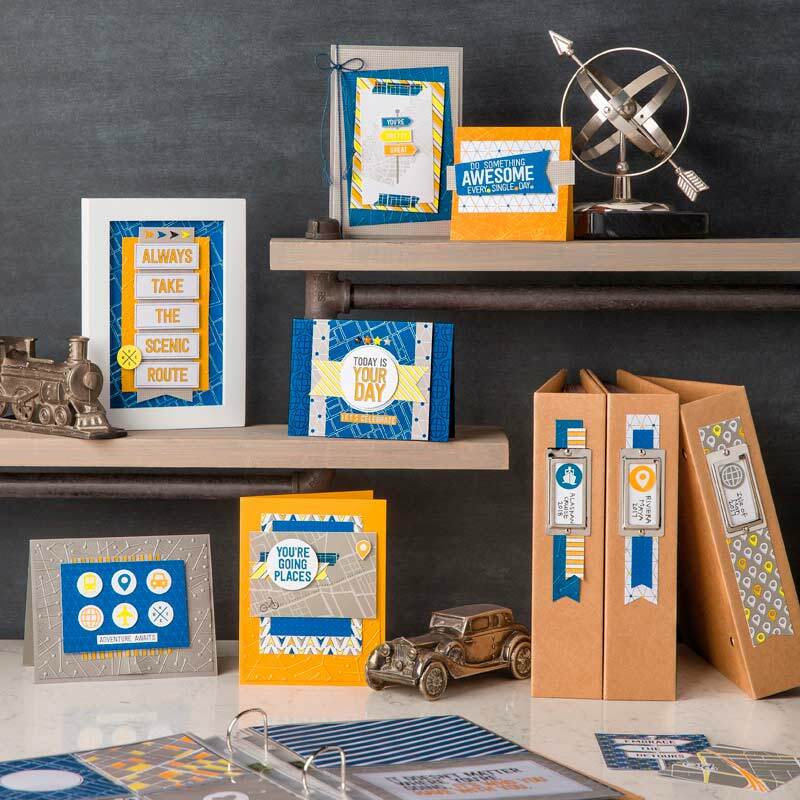 They come in packs that coordinate with the stamps, ink and card you already love, plus some new ones. They’re ruffled, satin smooth, faceted or metallic. They’re fun, versatile and bring that extra wow factor to your card making. Aren’t they just gorgeous? Don’t you want them all? I know I do!! Grab a selection via my Ribbon Share (details below) if you can’t treat yourself to ALL of them! See the different textures and colours. Can you already imagine using them on a card? 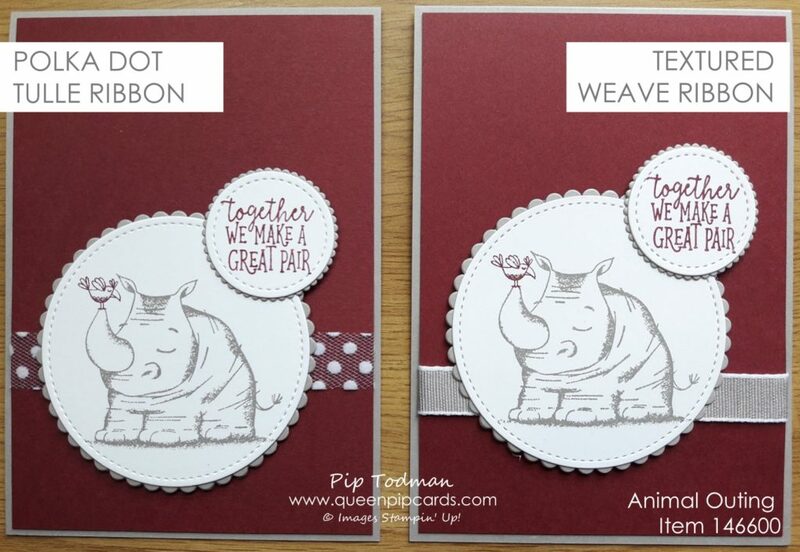 How about the 2 different ribbons used on this Animal Outing card. Which do you prefer? 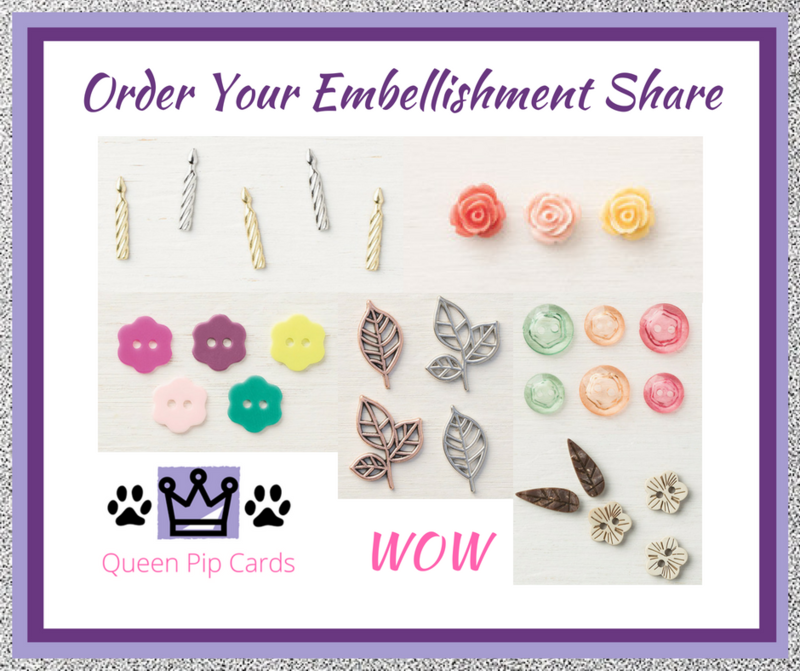 Next up, our new Embellishments! Now these are only the ones available in my Embellishment shares, because they are the ones easy to split up into shares. There are a whole lot more of self adhesive sequins, glitter dots, faceted gems too! I love the fun Best Route Enamel shapes too! 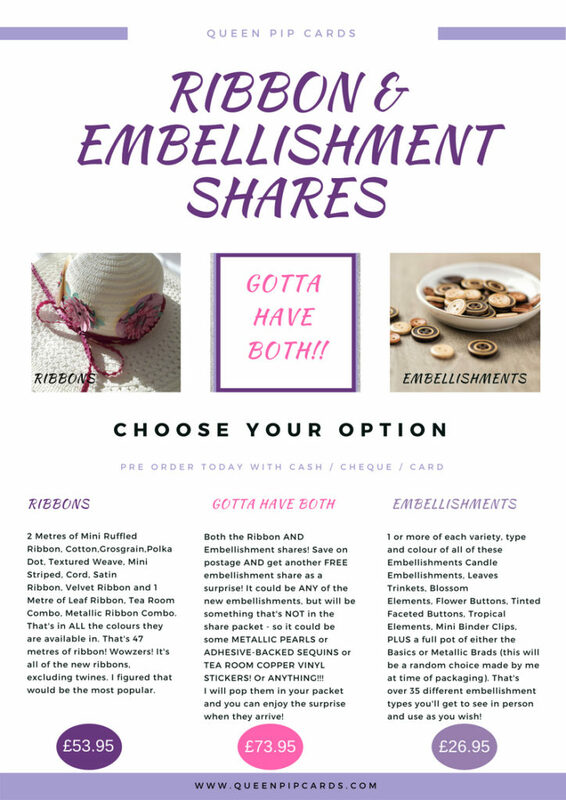 So if you like the look of the ribbons and embellishments, why not grab one of my Shares? You can get all of the new ribbons and all of the shareable new embellishments at a fraction of the full reel / box price. Buy both and I’ll add in a surprise sheet from one of the self adhesive embellishments too! I will place the order on Stampin’ Up!, as per policy, and when they arrive, I’ll cut, prep, pack & ship them back out to you! I know you’ll get a lot of fun from the ribbons and embellishments from Stampin’ Up! this year, so why not get a head start and grab a share of them today? Alternatively, just grab those you really love and need LOTS of from the product list below and check them out in my Online Store!